"In the beginning, God created..." These words are the very foundation of all true knowledge. 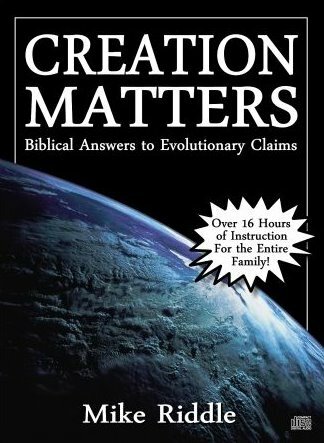 Popular creationist speaker and radio host, Mike Riddle, challenges the myths and pseudo-scientific claims of the evolutionary model of origins. This compact disc set contains the following 45-minute programs. 8. The Days of Creation: How Long Were They? 11. The Origin of the Races: Where Did They Come From? 15. The Genesis Flood: Local or Worldwide? 17. Aliens and UFOs: Is There Life on Other Planets? 21. Is the Big Bang Biblical? 22. Does It Matter What We Believe? NOTE: These compact discs are recorded in MP3 format and will play on any computer and compatible player. They will not play on a standard CD player.